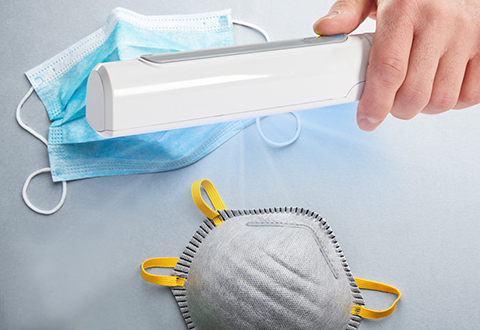 The Travel UV Sanitizing Wand uses powerful Ultraviolet-C light to significantly reduce microscopic germs, mold and dust mites. This compact cordless device sanitizes bedding, towels, chairs, doorknobs, light switches, bathroom fixtures and remote controls, killing up to 99.9% of bacteria, including E. coli. Features auto safety shutoff if accidentally overturned. 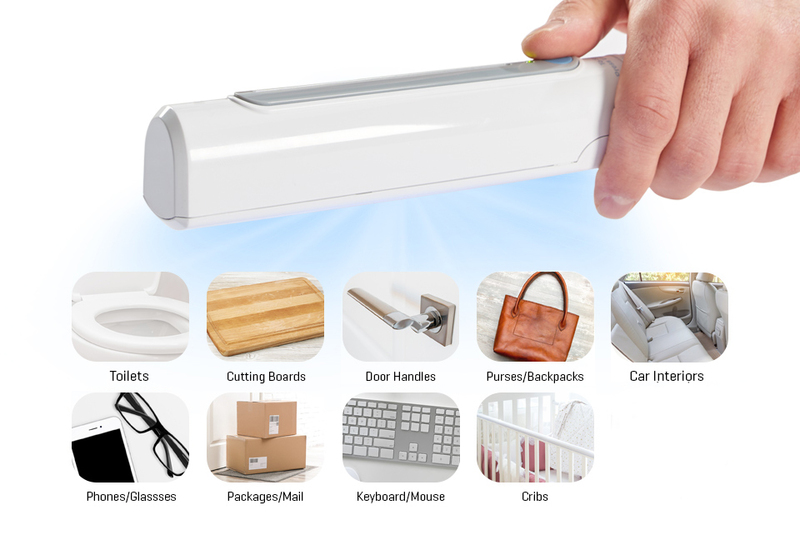 The Travel UV Sanitizing Wand uses powerful Ultraviolet-C light to significantly reduce microscopic germs, mold and dust mites. Use it all over your house, or take it with you to the office or hotel! • New Safety Feature: A built-in safety switch will automatically turn the UV-C light off if the device is turned upward, protecting your eyes from exposure to UV-C light. • For Bedding/Mattresses: Hold the UV-C Light Sanitizing Wand approximately 1-2 inches from the surface and gradually move the wand over the entire area. 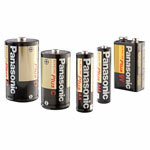 Allow the light to stay on each area for 5-10 seconds to ensure optimum exposure. 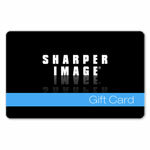 • For Personal Hygiene items (hair brushes, toothbrushes, jewelry, razors): Place items on a counter, away from water. 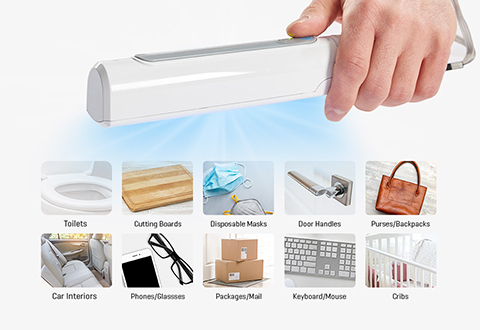 Hold the UV-C Light Sanitizing Wand approximately 1-2 inches away from each object. Expose each object to the UV-C light for 10 seconds. • For Kitchen Utensils: Place items on a counter, away from water. 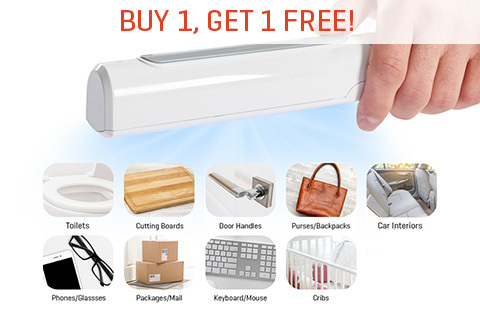 Hold the UV-C Light Sanitizing Wand approximately 2-3 inches away from each object. Expose each object to the UV-C light for 10 seconds. 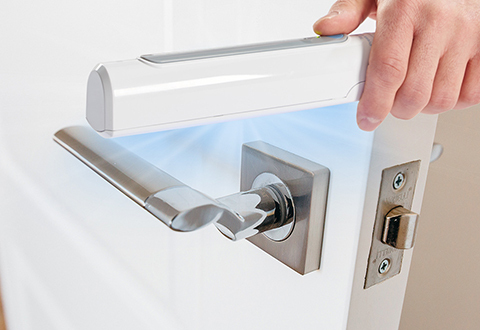 • For Counters/Bathroom Fixtures: Hold the UV-C Light Sanitizing Wand 2-4 inches above the surface. Expose the counter/fixtures to the UV-C light for 10-20 seconds. • Other uses (computer keyboards, telephone handsets, baby toys, etc. ): Hold the UV-C Light Sanitizing Wand 2-4 inches above the surface. Expose the items to the UV-C light for 10-20 seconds.